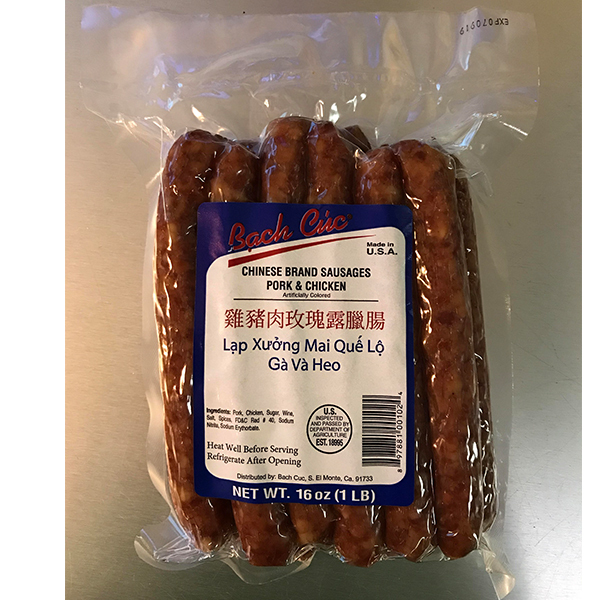 Savor some of this Chinese sausage. It has a perfect balance of savory and sweet flavor. It is a more fatty sausage best enjoyed when broiled and eaten with white rice and a side of steamed vegetables. Pork, chicken, sugar, wine, salt, spices, FD&C red #40, sodium nitrite, and sodium erythorbate.